Neuroscience is a rapidly growing interdisciplinary field concerned with understanding the relationship between a single organ – the brain – and behavior. Mastery of content. Students will know the neuroanatomy of the brain and the functions of specific areas within the brain. They will understand the electrical properties of neurons, signaling via neurotransmitters, the principles of sensory encoding, how motor systems work, how circuits are organized and regulated, how behavioral tests and measures can be used to assess nervous system function, and how connections are altered during development and via adult plasticity. 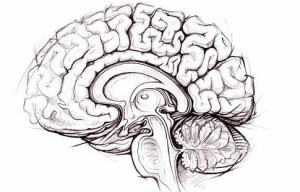 Finally, they will be familiar with a wide variety of techniques used to explore brain structure and function, and they will understand both the advantages and the inherent limitations of specific techniques. Critical analysis. Students will be able to read the primary literature, recognizing the central question and the specific hypothesis being tested. They will be equipped to carefully critique the methods and results, and be able to understand the wider implications of those results. In addition, students will be able to develop alternative interpretations, and formulate strategies for testing those interpretations. The ability to independently extend knowledge about neuroscience. Students will be able to design novel hypothesis-driven experiments that use appropriate techniques and measures to extend existing knowledge. Students will have opportunities to carry out such projects, either in upper-level courses or in a research laboratory. Communication. Students will be able present information about neuroscience orally to a wide variety of audiences – for example, to specialists in the field, to the general public, or to elementary school students. Students will also be able to present their ideas and results in standard scientific written formats, such as professional posters, articles intended for publication, and research proposals.